You will receive one bag as pictured with an assortment of crystals. Great for jewelry projects, home decor, crystal healing rituals. Fun for kids or adults at an incredible value price! – Crystal Quartz – Most common of all minerals is for good luck and energy. 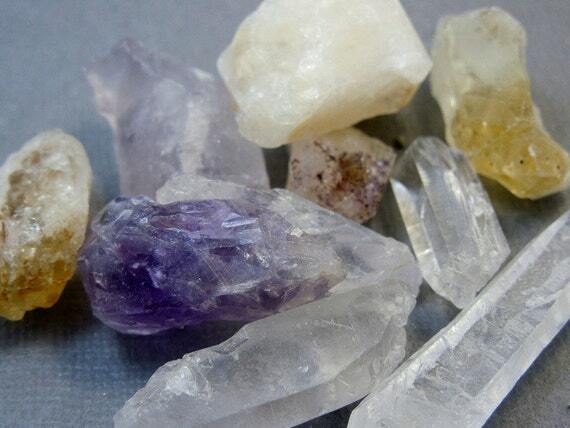 – Amethyst – Type of quartz, traces of purple come from maganese or iron works for healing of body and mind. – Citrine – Variety of quartz: color ranges from yellow to dark brown brings happiness and success.